John White. 112 pages. Softcover. 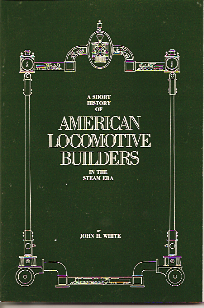 Histories of Alco, Baldwin, Lima, Climax, Porter, Heisler and steam locomotive builders. Out of Print and in limited supply.